When FBS released its first software program—“Commercial Pork Package”—the state of the art was the Radio Shack Model One or Apple II using 8-bit processors and cassette or puny floppy disks for storage. While slow, unreliable and expensive by today’s standards this nascent technology opened up new possibilities for serious managers who needed to organize, retrieve and analyze production and financial information. Most output was though noisy dot-matrix printers (if you wanted color you used green bar paper), and the most immediate gratification was that the software printed checks! In the era of the powerful, flashy gadgets, such as smartphones and iPads, that are obsolete within nine months, we remind you of the enduring value of your business’s production and financial data. That’s why long-time FBS users have been able to transfer records—the lifeblood of their business—from generation to generation of computer system. We’re very close to releasing software that runs on the next generation of PCs (64-bit). 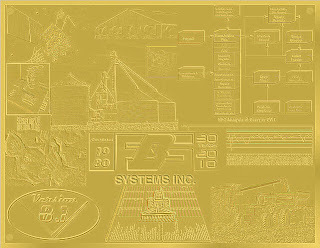 We appreciated the support and confidence you have given the employees of FBS Systems over the past three decades as we continue to provide the technology and support to help you cope with the management challenges of the 21st Century. Speaking of transitions, we’re announcing a new contest to recognize the FBS client who’s used our software on the largest number of computers. That number could be based on serial usage (i.e. transferred computer to computer) or concurrent usage. The winner will receive $1,000 worth of software credit. End of (DOS) Life as We Know It? We're happy that we can provide alternatives solutions for a wide spectrum of agriculture. That's why we offer so many combination of modules and allow users to run older versions of our software, including plenty of clients still plugging away in MS-DOS (Microsoft Disk Operating System). The demise of DOS has been widely predicted ever since Windows 3.1 hit the scene 18 years ago, but now its creator, Microsoft, has driven the final nail in its coffin with the release of the 64-bit version of Windows 7. Not only is there no easy way to print (DOS doesn't support USB printers), but you can't even open up a command prompt to launch the software. Keep in mind we're talking only about 64-bit Windows 7; however, this flavor is fast becoming the default configuration--you have to look on some back shelved or special-order 32-bit computers. So pamper those clunky old Win 98 and XP boxes. When they die so will your DOS FBS programs. If you delay long enough, the data conversion process will be complicated and expensive (rather than automatic and free). Congratulations to Mike VerSteeg, Pork All-American from Iowa. Mike and his family were recently honored with the pork industry's top award at the 2010 Iowa Pork Congress. Three FBS users--Jean Bell, Dave Heisler and Chuck Wildman--hold director's positions in the Ohio Pork Producers Council. Don Anthony, Lexington, Nebraska, describes how he monitors his center pivots via cell phone in the January 2010 Successful Farming article, "Telematics Magic." He can even make adjustments to his irrigation system remotely from the combine seat, in Washington D.C. or the CHS headquarters, where he serves on the Cenex board of directors. Q. I am on a network, and all of a sudden I can't open FBS, but my colleague can. What’s wrong? A. Either the FBS icon/pathway back to the server or a common file on your PC has become corrupt. The first thing to try is to re-install the FBS workstation on your PC. Insert your current FBS CD in your local computer and press the Exit button; do not install standard FBS software on a work station. 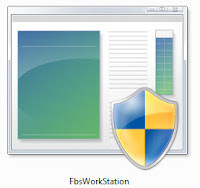 Locate the FBSWorkStation icon on the CD drive using Windows Explorer and double-click it to reinstall the work station common files on your local computer. Next delete the current FBS icon on your desktop and make a new desktop icon. 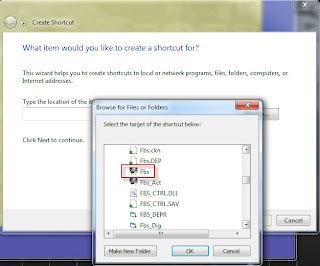 To do this, right-click on your desktop, select New and Shortcut. You will then need to browse to where FBS is located on your server. You might want to look at your colleague's shortcut properties to make sure you use the same path. Once you have the path set correctly, click Next and then Finish. You now have a working FBS icon on your desktop. 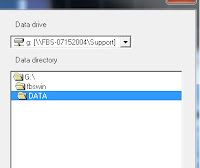 Finally, launch FBS and on the Change Company Screen make sure you are pointing to the correct folder to find your data file on the server. We apologize to anyone trying to call our switchboard or send an e-mail to us today (January 21). An ice storm has shut power down for Amerin customers in dozens of counties in western and central Illinois. One of the more valuable sessions at the Missouri Computers on the Farm Conference was entitled, "Enterprise Analysis Using Quickbooks." Presented by an Extension economist who was also a CPA, it mirrored work done by Texas A&M to extract meaningful farm analysis from this popular "main street" accounting program. On the plus side, he demonstrated how Quickbooks offers a very flexible interface, definitions and reporting format understood and supported by many accountants. Quickbook "classes" are rough parallels to FBS "centers" (originally called "enterprises"). As the instructor so effectively demonstrated, Quickbooks offers many alternatives in setting up accounts and classes to emulate the financial, if not the quantitative, dimension of a farm. Which raises the question, where does the average farmer turn to for training and technical support in applying Quickbooks to the day-to-day operation of his own business? It's obviously a different experience than what FBS clients are used to.